What you don't like my hairy briefs? WTF is that? 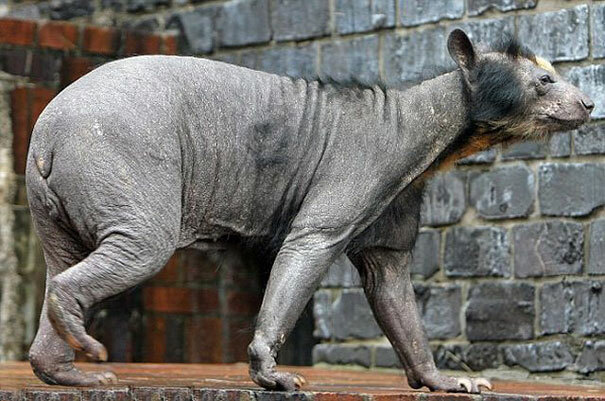 A hairless HecticArt. I thought it was a shirtless Wolf for a minute. I look better in briefs, then shirtless. scotchandcigar, semipenguin, JHDK and 2 others like this. Glad you're doing well (and not locked up in a basement or something)... Stop by anytime and let us know how you're doing. Nope, I'm not into that weird gay crap. I thought it would be funny to say it. When I was listening to the show yesterday that was way behind I can handle and almost changed the channel. I don't want to say where I'm going yet this weekend, but it won't be Phoenix. I know I said earlier I'll probably won't be posting as much. I'll still post every now and then, but it probably won't be much in certain threads like movie trailers, ATW and whatever else. Get your freak on before the world goes to hell in a hand basket. Wolf and Channel98 like this.